This was certainly an interesting blog. 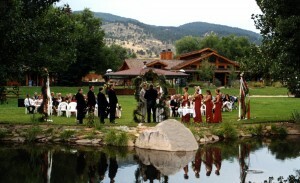 I had never really thought about throwing an entire wedding at a ranch. It does seem that it could certainly add some relaxation, and anybody who has ever gone through the wedding planning ordeal knows that weddings can sometimes seem anything but relaxing!